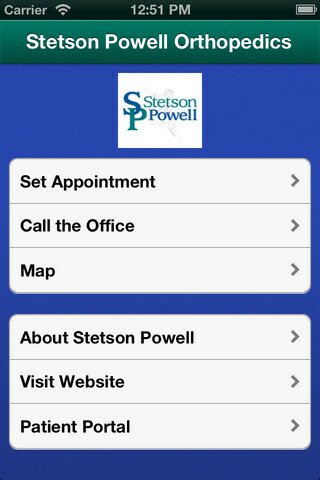 Stetson Powell Orthopedics now has its own iPhone App! The Application features information about SPO and allows patients to set up an appointment, receive reminders prior to a visit, call our office, get directions and visit our website. The patient portal through which patients can make appointments, request medication refills, update medical history and complete patient questionnaires also is accessible via the app. Please click here or visit the iPhone Store to download our new application for free!